Offering bowls and chalices have been used upon ones altar or during rituals also may be used for many other purposes. Could be used to charge an item or magical component. Some may use offering bowls as exactly that (an offering to the divine) as a symbolic token of appreciation. Some may use their bowls to hold water for cleansing, some may use their bowls to hold "cakes" for cakes and ale during ritual. 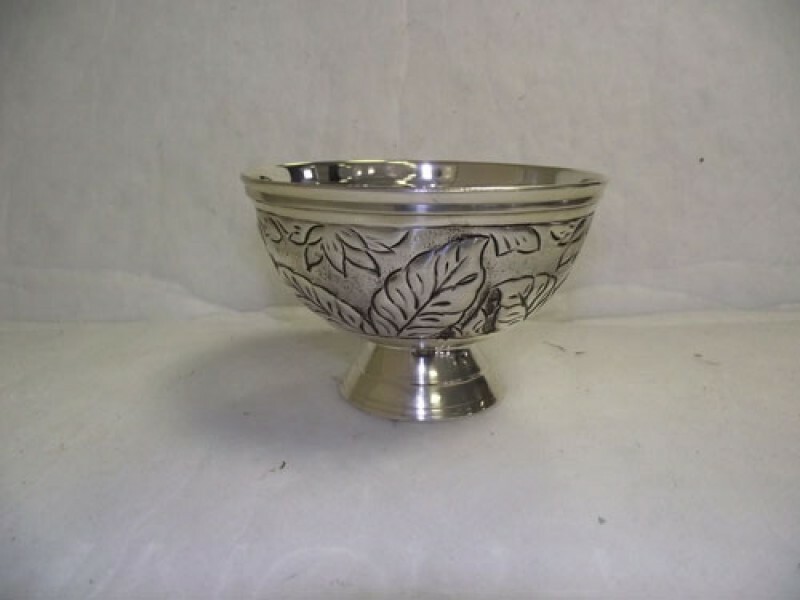 Regardless of your intent, our offering bowls will add a magical touch to any home, altar or sacred space. Item appears silver plated but doubtful it is solid silver.